We'd love to have you join in too! There is a prize from Heather for the winner! We did this challenge on Friday this week since we're doing a fun blog hop on Saturday and didn't want to get the two things mixed up! 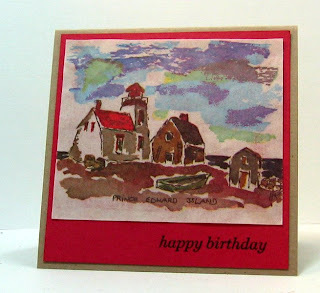 This cozy cottage stamp is from the H&M stamp set Old English. Don't you just love it? 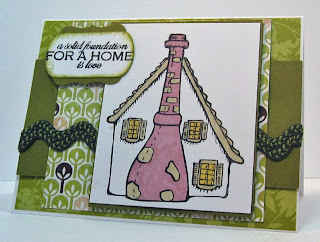 the set also has a front view of a cottage, a tower and a whole bunch of sentiments. The tree designer paper is called Offbeat by Basic Grey and the background layer dp is Stampin Up. I got this great rick rack in a ribbon shop in Wolfeboro, NH last summer. 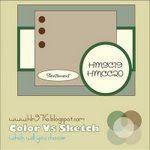 So - come check out the Sketch/Color challenge on Heather's Blog and join in the fun! 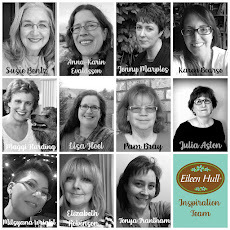 and be sure to check back here on Saturday for the H&M Blog Hop where all the DT members will be sharing some wonderful holiday decoration ideas! 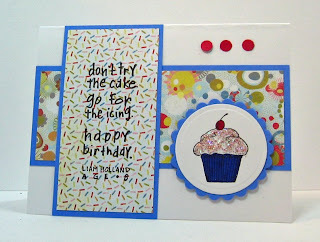 Today's featured stamper on Split Coast is Kay (Speedystamper) you must check out her lovely gallery! I chose this Thanksgiving card of hers to CASE. 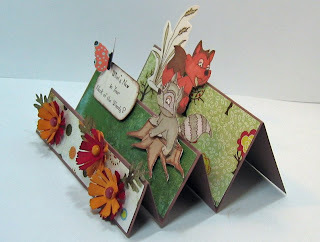 (Copy and selectively edit) I changed the orientation of the card - I used a Winter theme instead of thanksgiving with different stamps and colors - but was inspired by her wonderful sketch. 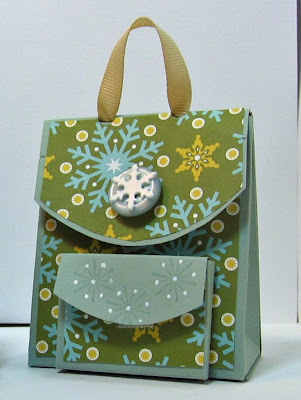 I used this fun Percy Builds Frosty stamp from H&M Stamps that you can see here: There are other fun Percy stamps too so check them all out while you are looking! 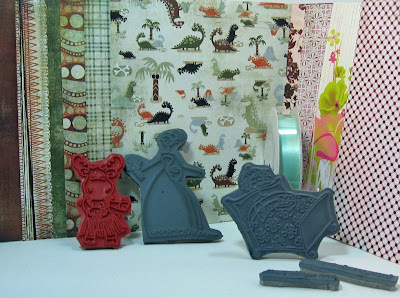 And Heather has reduced the prices on ALL of her stamps - whoo hoo!! 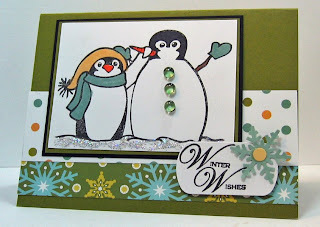 I used my SU markers for coloring to match my designer papers and added silver stickles to make the snow sparkle. Congraulations to Kay today! 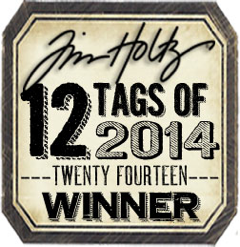 And thank you for stopping by my blog! 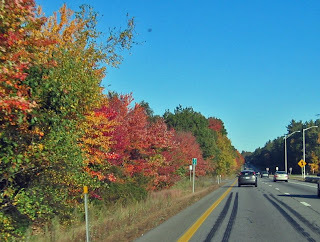 DH and I are off for a drive to the country to visit my sister and her DH. 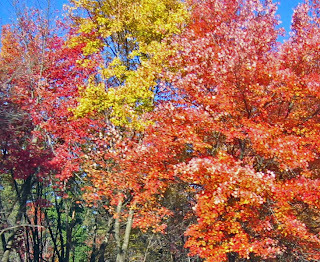 It's in the 60's here in MA today, a bright sunny fall day! 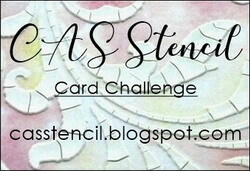 I made this card for Heather's H&M Saturday Color and Sketch Chellenge. You can use either the colors suggested or the sketch and I used both this week! 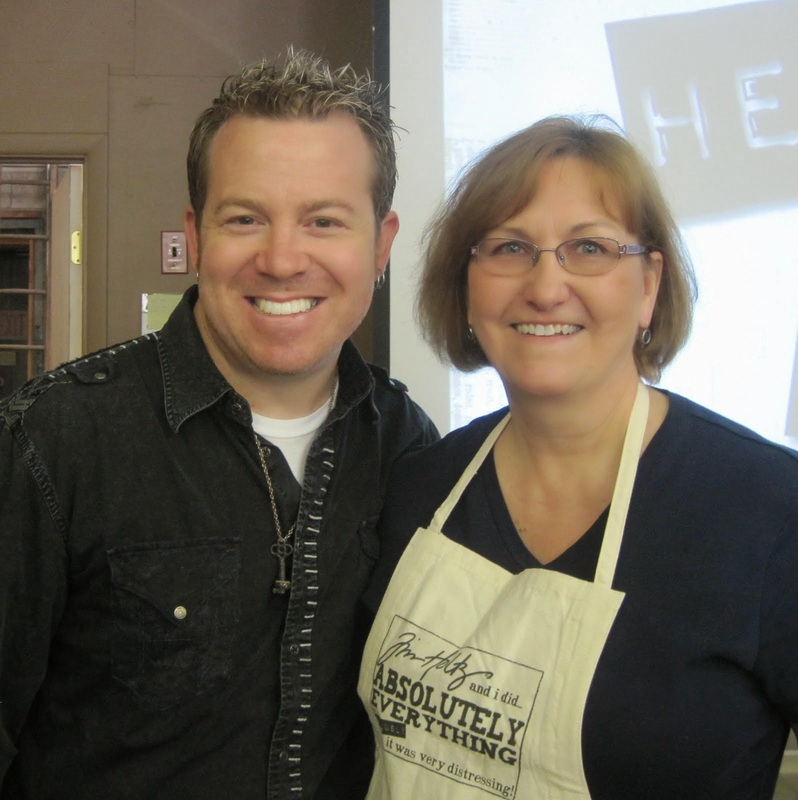 See the posting on Heather's blog here and join along in the fun! ETA: there is a prize to be won if you play along! so check it out! 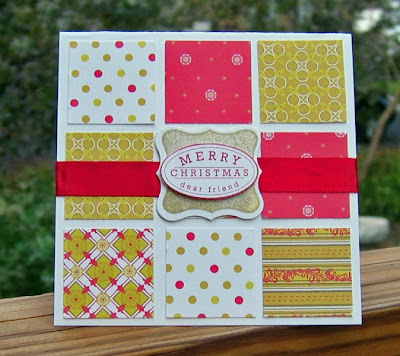 I used the H&M Stamp set called 'Create A Bulb' as well as a sentiment from the 'All I want for Christmas Sentiments' set. I love these colors together! I used Ocean Tides and Vintage Cream(PTI), Purely Pomegranate and Handsome Hunter (SU) and the Designer Paper is Basic Grey Figgy Pudding. Here is the sketch and the colors There are keyword codes inside the circle for you to use if you post your card on SCS. 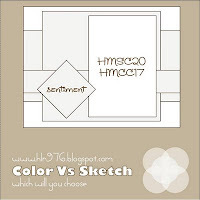 HMSC19 for the sketch and HMCC20 for the colors. 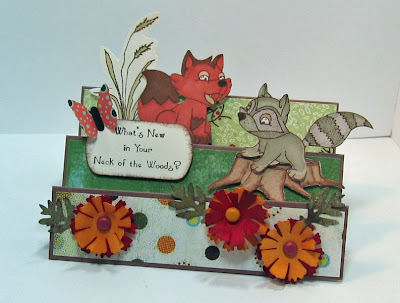 A reminder - that Heather has reduced the prices on all of her stamps so be sure you hop over and take a look at all her wonderful sets at the lower prices! If you've been reading the last few posts on my blog - you know that I've been preparing for my church fair this week - well it opened tonight 7-9 PM and will be open tomorrow 9am-2pm. These are the official greeters to shoppers as they enter the church building. 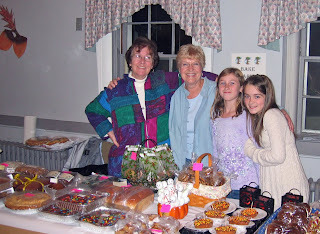 This is the Bake Table - Yum!- Dibby and Cathy are selling tonight with the able assistance of their granddaughters. We also had a pie social downstairs with pie, ice cream and beverages. And here is the D'Vine Card Table - Jeannine, me and Elizabeth - we make everything on this table - all stamped in some way or another! 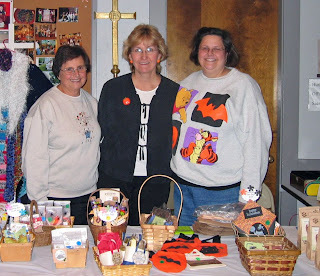 The three of us also run monthly Card Stamping workshops where everyone makes 4 cards - all supplies and instructions included with the $10 charge - with profits going to the church. 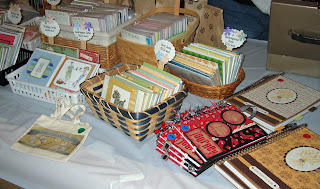 Here are baskets of cards and some altered journals. You can see other things I made for this table on my two posts below this one. This is my God-daughter, Eden, on the right - she will be 3 in two weeks and her 7 year old brother, Destin, on the left (with a removable tatoo on his cheek!). 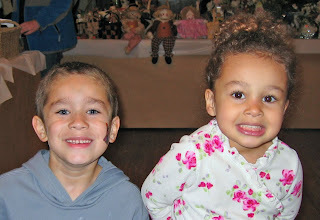 They loved checking out all the toys on the White Elephant table downstairs. 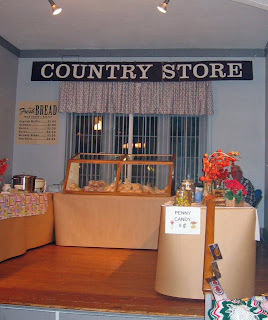 We have a Country Store table at our fair - where they sell bakery bread, home made Boston Baked Beans, Chili, candy, Cider and other items. This is just before we opened - so no people yet! 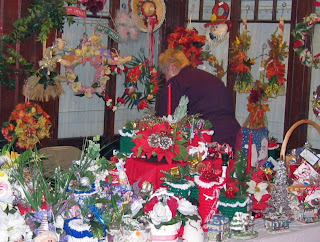 Above is the Holiday Table where they have mostly Christmas decorations - and lots of them some home made and some store bought and altered! 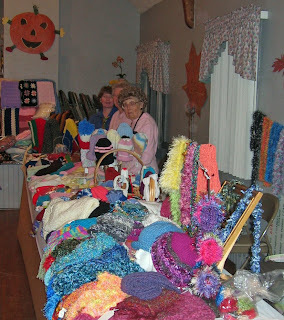 And this is the Knit Table - where you can find all the latest styles in hats, mittens, scarves and afghans - all very reasonably priced and home made! We also have a used book table, a jewelry table and a candy table at our fair. We have a lot of fun for the two days of this event! So - I'm off to bed (phew - long day!) and I'll be up early to get back over there to sell tomorrow - Hopefully we'll have a good crowd - you never know - but the weather is supposed to be sunny until the afternoon so that's good! Thanks so much for dropping by - and remember to check out Heather's Saturday Sketch challenge - we'd love to have you participate! My church's Harvest Fair is this weekend and I've been feverishly finishing up some crafts to sell on the De-vine Cards table two friends and I have at it. 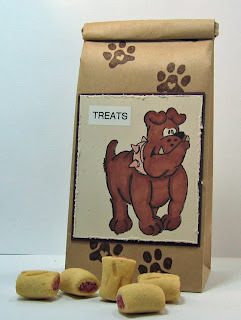 I'm always searching blogs and web sites for fun and fairly easy (but cute!) 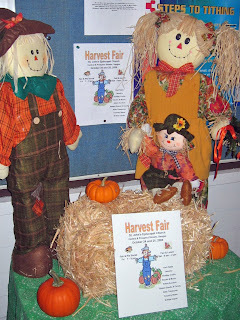 ideas for things to make for the fair. 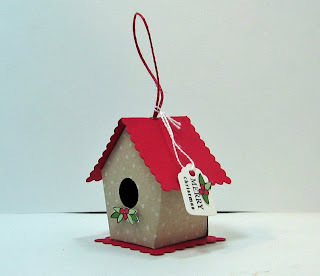 And this little bird house I found on Nicole Heady's blog sure fits the bill! Isn't this just the sweetest little thing. I totally cased this one - making it pretty much exactly the way Nicole did - (I just changed the tag and used red twine as a hanger instead of natural) and she suggests you could make Halloween houses, Easter Houses - you could add trellises, flowers, fences etc - your imagination is the limit! My next craft quest was a single vial holder for the great Martha Stewart vials that they have at Michaels this Halloween season (I even got mine half price!! whoo hoo!!) I have seen several containers that hold 3 or 4 vials but for selling at the church fair (where everything is marked very reasonably - as in cheap!) I wanted something to hold one. I searched in the SCS gallery under 'candy' and lo and behold - I found EXACTLY what I was looking for - she even used the same vials that I had that are 1" in circumference. So - of course I made 10. (!) This design is by Lisa Somerville and you can see the instructions here. 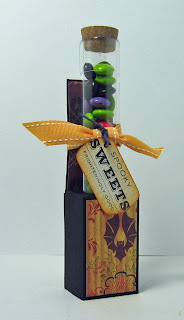 I used Cosmo Cricket designer papers and the stamps are Spooky Sweets II by Papertrey Ink. 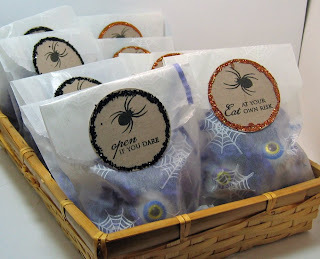 Then I found these fun treat bags designed by Heather Nichols again using the Spooky Sweets II set by Papertrey Ink. 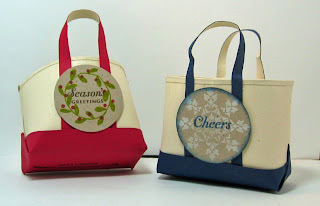 I used white craft ink to stamp the snowflakes on the bags instead of acrylic paint and it worked really well. 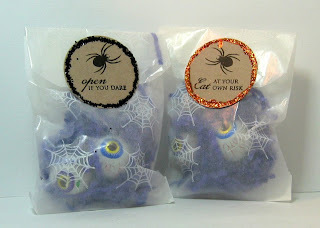 I also put some purple crinkle basket filler paper inside the bags along with the fun chocolate 'eyeballs' I got at CVS. So of course I made 10 (!) That seems to be my magic number when making crafts to sell at the fair! 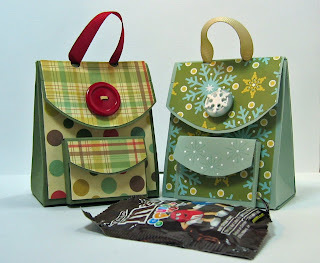 And my final project to share with you is my little paper LL Bean-like bags that I posted some time ago here. I got the pattern in a book that I reference in my previous post. 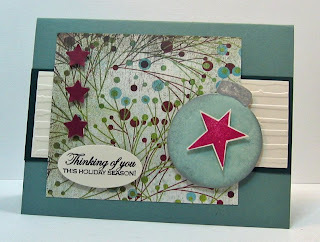 I dressed them up a little for the holidays - again using some Papertrey Ink stamps as well as a Penny Black snowflake. I'll probably put a little bag of candies in these - And yes - I did make 10 (!) but had no strength left to put them all in my photo box to get a picture! I may not be posting for a few days - tomorrow we are decorating the church hall with giant cardboard fall leaves and putting paper around all the tables - then Thursday we're setting up all the 'stuff' to sell on the tables - and Friday night and Saturday is the fair - I'll be sure to take some pics to share back here with you all! Thanks so much for stopping by! Let me know where you are finding fun craft ideas!! I apologize for posting so late today with the winners of the blog candy - I had a busy day and just got home - so without further ado - I had 74 comments on the blog candy posting last night and the Random Interger software chose # 64 as the first winner and #4 as the second winner. Hi Julia! Great cookie card! 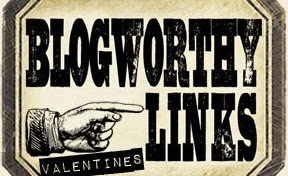 I promise to link your blog candy to my blog...I have to get a post up there soon!! Congrats on 40,000-woo hoo!!! Oh my gosh, the scenery in them thar parts is breathtaking!! Wow, I haven't seen anything like that around here!! I'm dieing for the instructions to that darling backpack GF!! You can count on me casing it and posting to my blog as a homage to you!! Meanwhile, may you have 40,000 more posts regulary and more blog candy!! LOL!! Big giant hugs! So e-mail me your addy's ladies (see e-mail in right column) and I'll get these off to you pronto! I'm sorry you all couldn't have won - I appreciate each and every one of you who comes by here and especially those who leave comments so I can visit you also! 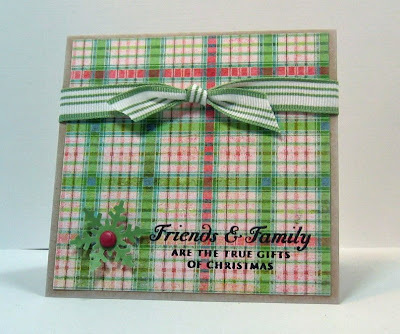 I made this one for the Mad for Plaid Challenge on Split coast where we had to use plaid on our card. 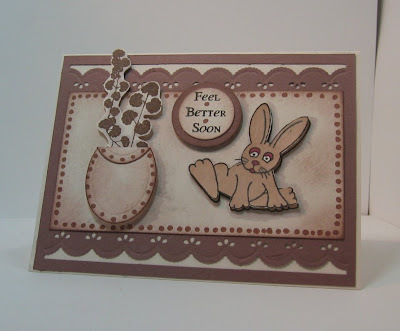 I used Kraft for my card base and Basic Grey Two Scoops plaid for my background and just stamped the sentiment from Papertrey Ink right on it. I was going for the simple homespun look. I added a punched snowflake (Martha Steward) and brad (Making Memories) . Then I just tied the ribbon (Stampin Up) around the top. This will most likely be one of my Christmas cards this year as I like how it looks and it was really quick in getting together! I've been meaning to get started on my Christmas cards - so this was the day! I finally got all the pictures and instructions together for this promised tutorial for these fun little back packs. Several people have posted instructions for these on Split Coast and on blogs - I found it on this blog inkingidaho but added more measurements and a more detailed description of putting it together. Be sure and check out her blog - she has a lot of fun tutorials listed! 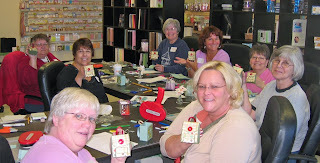 Buttons or stamps to decorate as desired. Cut on the shorter score lines up to the 3 ½” crosswise score – cut off the ¾”x 3 ½” piece on the end. You can see the scores and cuts on this picture - I made short pen marks on the ends of the score lines just to show you where they are- these are not cuts - the only cuts are along the bottom edge. 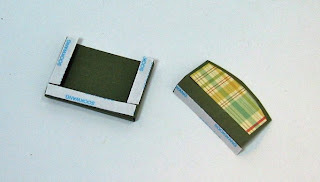 Pocket – 3” x 2” score at ¼” and ½” on three sides. Leave one long side unscored. Cut off corners. Fold on score lines. 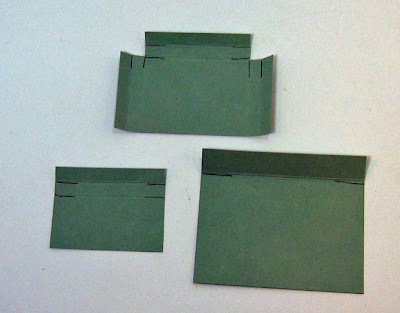 Pocket Flap - 1 ½” x 2” score at ¼” and ½” on one long side only. The top piece is the little pocket - the bottom left piece is the little pocket flap and the bottom right piece is the back pack flap (I marked the ends of the score lines with a pen so you could see them better - they are not cuts. Trace rounded edges on the backpack flap and the pocket flap by placing the round tape roll over the piece and drawing the curve. Cut the curves. You could also use a Coluzzle or anything round. Place the appropriate piece of designer paper over both flaps and trace the curves. 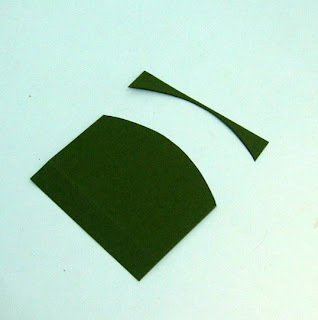 Trim to make these slightly smaller than the flaps and attach to flaps. * If you are stamping the little pocket flap instead of using DP - stamp it now. On the end of the back pack piece without the narrow end flap – on the bottom - make two dots with a pencil - ½” up from bottom and 3/4” in from each side – punch two holes with ¼” punch over your dots. On the top – mark 2 dots with a pencil ¾” down from top and 1 ¼” in from each side. 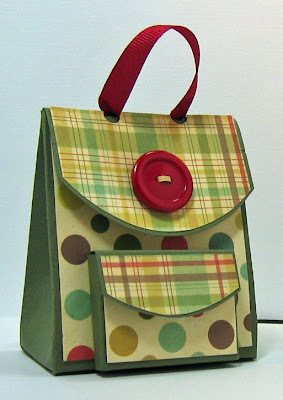 Put the two ribbons through the holes (one on each side) and attach to the inside of the back pack using tacky tape. Make sure the outside loops are even and not twisted. You can see the placement of the tacky tape on this picture - the middle large panel is the front of the backpack and that bottom piece should be the last piece folded up and attached so you see the fold from the front of the pack. You can just slightly see the piece of tape on the small panel on the right - it's on the front as it will fold in and attach to the piece with the ribbons on it. You can also see the velcro piece at the top of the large flap. I put both sides of the velcro piece here( the fuzz and the loops) - then removed the backing and closed the backpack - that way the pieces will be lined up perfectly. Measure 1” in from each side right on the fold of the flap. 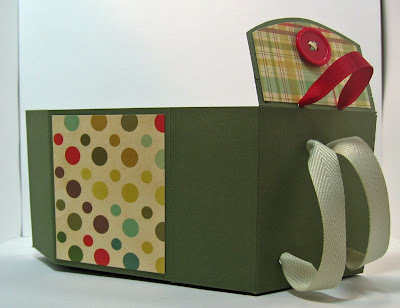 Using a 1/8” hole punch if you have it – or a ¼” hole punch, punch the two holes. 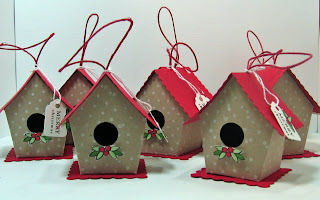 Put the ¼” ribbon through the holes and attach the ends to the inside using super tacky tape. Taping up the back pack. Put super tacky tape along the outside of the narrow end tab on the inside edge, and on the bottom panels. The flap under the front of the back pack will be the last flap you fold up as you want the fold showing from the front - not an open edge. Line up your edges nice and even as you attach them. Fold the scored edges of the little pocket. 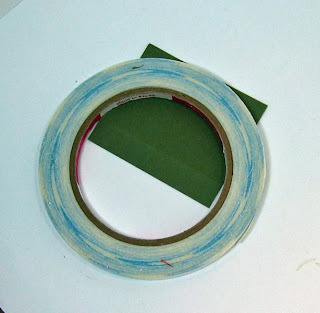 Attach strips of tacky tape to the three sides. If you have 1/8" tacky tape that is a better fit on this small pocket. If not - 1/4" will work. 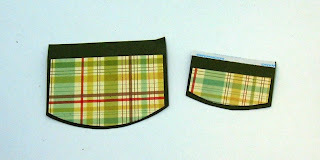 Pull off the paper of the tacky tape on the pocket and attach the flap to the open edge of the pocket. Put tacky tape on the back edge of the pocket flap. 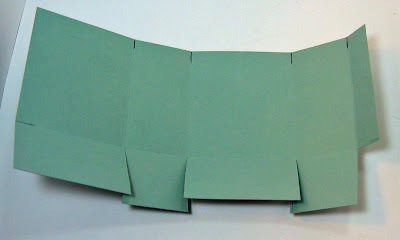 Pull off the paper and attach the pocket with the flap to the front bottom of the back pack - even with the bottom edge. Squeeze the sides of the backpack together (front to back) while pushing in on the sides near the top to bring it in at the top. 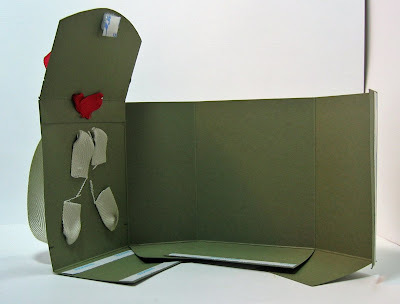 Attach small pieces of Velcro under both flaps. Add a button to center of top flap if desired. Or you could add a flower or something stamped and cut out. The flaps can also be stamped instead of using DP. So there you go - I hope I didn't leave anything out - it's a long tutorial as there are a lot of steps - hope I didn't totally confuse you! I'd love to see the back packs that you create! I'm sure you will all think of many different fun ways to decorate these for different events. Please link them back here so I can check them out!! 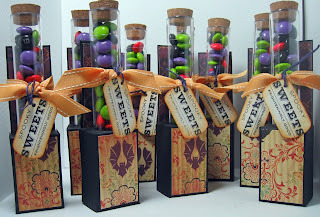 Remember to check out my blog candy post here - you have until Friday 10/17 to enter! This was so simple and fun. 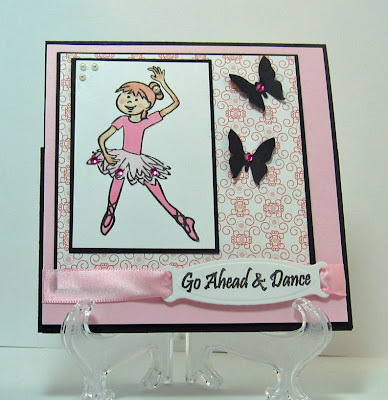 The color challenge (Pink Pirouette, Basic Black, white) made me immediately think of ballet - both the word and the color! I used this pretty little dancer from the H&M set - Livin' the Girls Life. I colored her with inks and my aquabrush and added gems and pearls. I punched the butterflies and added gems there too.The sentiment is cut with a Spellbinders ribbon tag and the pretty satin ribbon is Papertrey Ink. I know when I was young and taking Ballet lessons - we were given little records of the songs we danced to - so I'm thinking today's little ballerina might have a CD of their music. So here is a fun little case for her to keep it in! 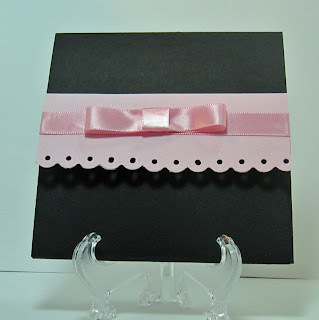 I decorated the back opening with some Pink Pirouette cardstock punched with the Fiskars Threading water punch and another piece of the pretty satin ribbon. You use a piece of Velcro to keep it closed. 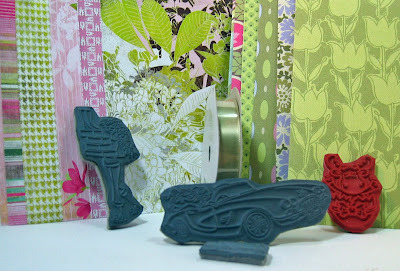 Heather has reduced all the prices on her stamps - so be sure to go over and take a look. Check here to see the other girls Double Dare entries. 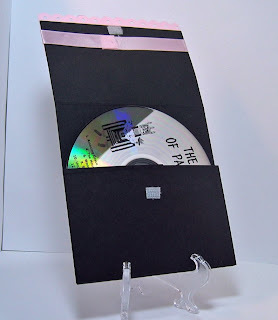 Thanks for coming by today - I hope you try making one of these CD cases - let me know if you do!